Dubai Financial Market (PJSC) today announced its results for the financial year ending 31st December 2015 as the Company posted a net profit of AED 261 million for the year 2015, compared to AED 759.3 million in 2014, a 66% decline. Total revenues reached to AED 451 million in 2015 compared to AED 936.7 million in 2014. The total revenue comprised of AED 393.7 million of operational revenues and AED 57.3 million of investment revenues and others. During its meeting on Thursday, 4 February 2016, the Board of Directors reviewed and approved the annual results, which will be presented for ratification at the annual general meeting of the company due to be held on 9 March 2016 in coordination with The Securities and Commodities Authority (SCA). The board also proposed a cash dividend of 5% of the capital equivalent to AED 400 million. Essa Kazim, Chairman of the company said, “The DFM Company’s revenue and profit have been affected by the 60% decline in the trading value during 2015 to AED 151.4 billion compared to AED 381.5 billion in 2014 as the trading commission represents the main revenue stream for the company. This decline was prompted by some immediate circumstances unrelated to the sound fundamentals of the national economy, especially the decrease in oil prices as well as concerns about the slowdown in China and its impact on global economy, which affected various international markets. 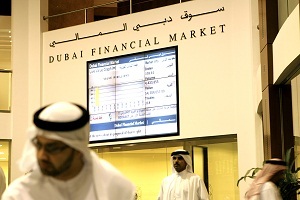 Regardless of this, DFM has maintained its attractiveness to foreign investments with the UAE’s classification as Emerging Market by leading institutions such as (MSCI) and (S&P Dow Jones).” ” In a clear indication on their growing confidence in the market, foreign investors’ activity has strengthened in 2015 and their share of trading increased to 48.6% compared to 43.8% in 2014. Foreign investors except for Arabs and GCC nationals were net buyers of AED 900 million whilst institutional investors were net buyers of AED 1.5 billion,” he added. “During 2015, we have focused on implementing the “Smart Borse” strategy through series of services and innovative solutions in line with the vision and directives of His Highness Sheikh Mohammed bin Rashid Al Maktoum, Vice President and Prime Minister of the UAE and Ruler of Dubai. DFM has launched an integrated electronic platform of investor services, enabling them to access 15 services through smart phone applications and the website. DFM also launched its newly designed website with various new web pages and sections that fulfill the requirements of market participants. Furthermore, the updated version of the DFM Market Watch offers comprehensive information on the market activities and allows users great flexibility to redesign the page according to their personal preferences. The DFM has maintained its attractiveness as a listing venue in the year 2015 with the listing of DAMAC Properties followed by the first listing of a private joint stock company, AlSafwa Islamic Financial Services in the “Second Market” in November. This reflects public and private joint stock companies’ confidence in our market as a leading platform for local and international investors and companies due its world-class infrastructure, advanced systems and services similar to developed international markets.